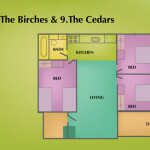 The Birches is identical to The Cedars, just to its south. 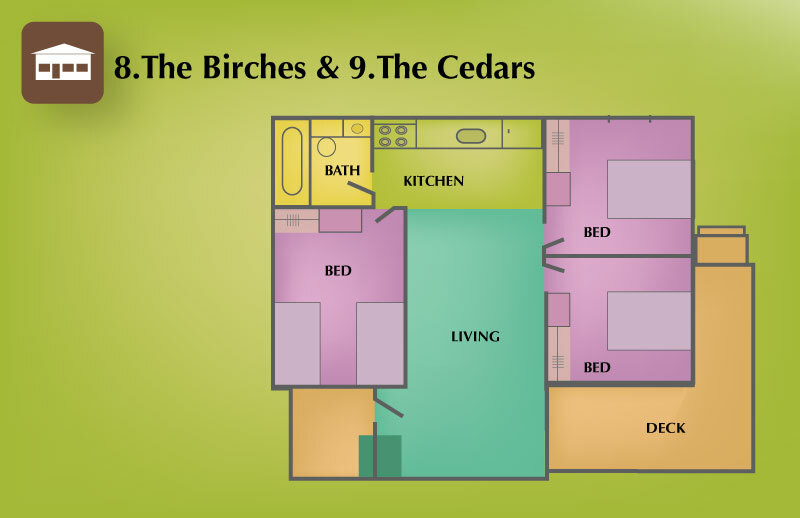 The Birches and The Cedars are identical 3 bedroom units with 2 singles in one bedroom and a double in each of the other two bedrooms. Both units have been just recently enlarged and now also have wood burning fireplaces. ) 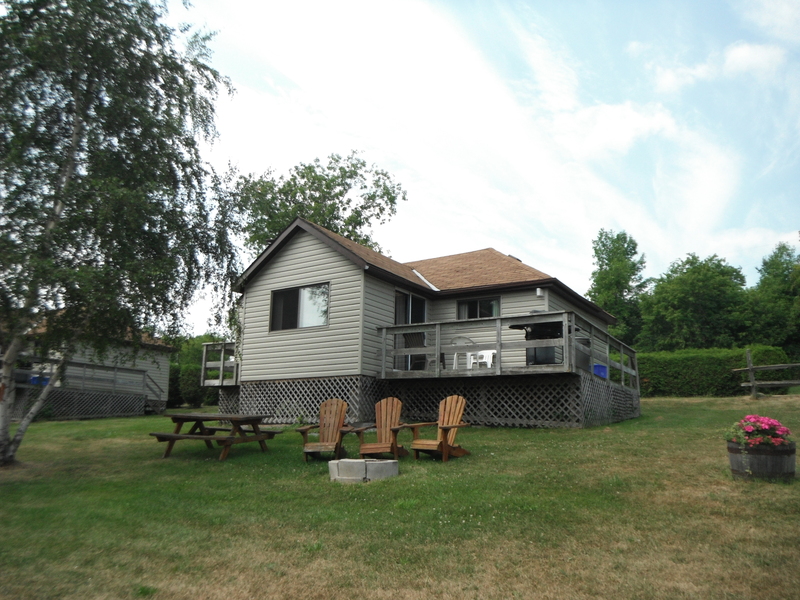 They are hillside units with nice views of the lake. 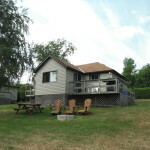 What’s unique about these units is that they both have a separate second smaller deck where a person can relax and read a book in privacy.